In the milieu of travel as an integral part of life, the market didn’t offer any quick moving solutions that would allow for a mobile life. This is where Paravel’s founders; Indre Rockefeller and Andy Krantz, frequent travelers and ex-fashion executives, recognized a “white space”. Paravel’s system of hand carry luggage and supporting accessories allows their consumers to smoothly transition into a variety of settings. 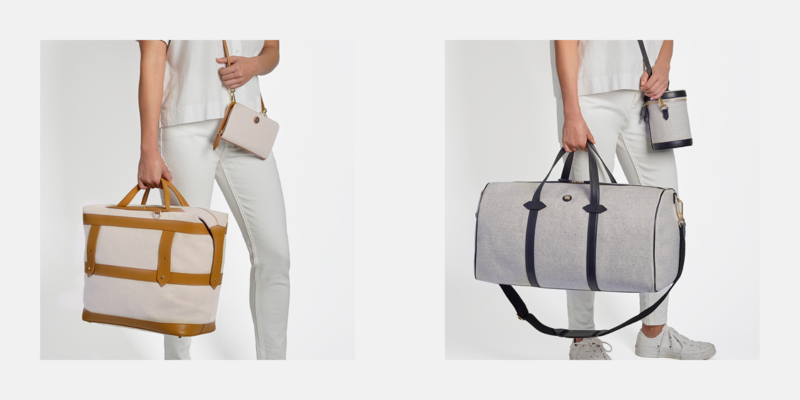 All their bags are hand constructed from heritage fabrics such as cotton canvas and sailcloth, then trimmed with high grade colored leathers sourced from the foothills of Tuscany, resulting in a lightweight, multi-use bag that displays their distinctive signature finish. With its modern and elegant custom layout, Paravel’s online store provides the customers with the same feeling of luxury as its final products. The website is yet another after Greetabl fruitful cooperation of Reshma Chattaram Chamberlin from January (formerly B/C Designers), a business design firm from St. Louis with the Spark Solutions team, a software house that specializes in e-commerce projects. Both the product listing page and the product detail page look impeccable and in keeping with design standards for premium and luxury goods. The online store was created from scratch and boasts a variety of top-notch features like fully customizable slider (with possibility of adding different pictures for display on various devices) or one page checkout. What is more, everything here is personalized, beginning with the product itself. Thanks to the online customization tool, you can change colors and add monograms (letters and even emojis), which are later hand-painted by an artist! Even the gift wrapping option comes with a personal touch in the form of a note that you can add to the package. Paravel chose Spree for their stylish, stable and scalable platform, perfect for a medium sized startup. 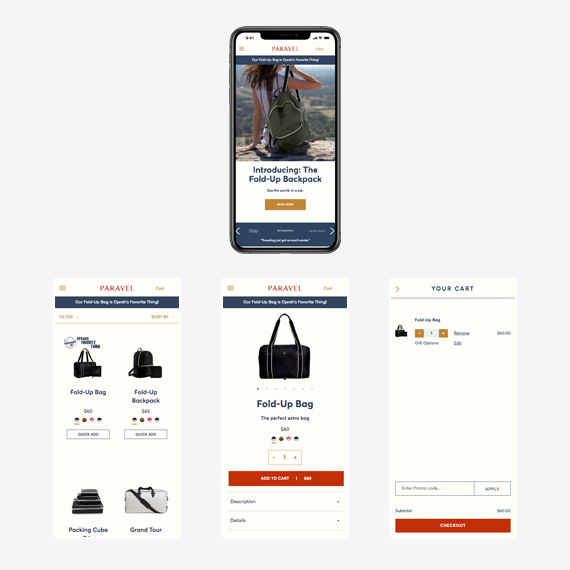 A mobile-first, custom User Interface was implemented with React.js as well as multiple 3rd party integrations, including external order fulfillment. 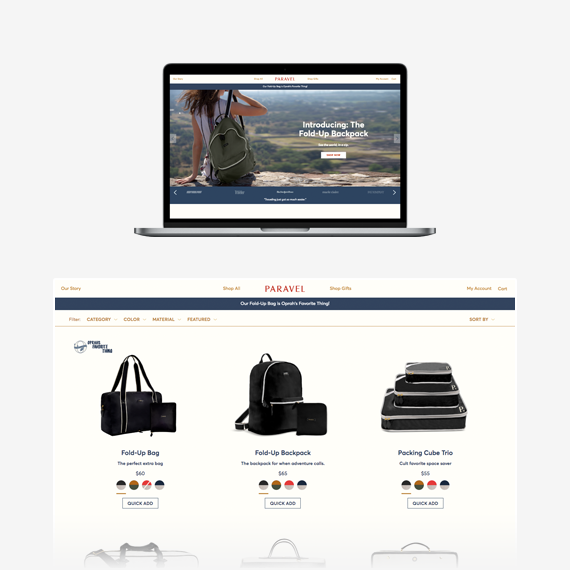 A variety of other features like monograming make Paravel’s online store one of kind, same as their travel accessories. The Paravel team believes that they are creating the future of travel. And looking at the market’s response, they might just be doing so. Travelers around the world, including bloggers and celebrities are delighted with the comfortable, stylish and affordable bags. Even more so since they can now personalize their luggage with hand-painted monograms. All this wouldn’t be possible without an online presence that matches Paravel’s style and innovativeness. Spree yet again proved to be the right solution for a project that demands great looks and flexibility as well as relability and scalability.